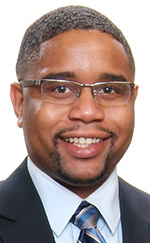 Jermaine J. Johnson, Lisa C. Luebke, and Samuel J. Riethman, have joined Greenleaf Trust, an independent Michigan-chartered trust-only bank, in the company’s offices in Kalamazoo. Johnson joins Greenleaf as a trust operations specialist – cash processing. He is responsible for securities processing and providing support to the rest of the operations team. 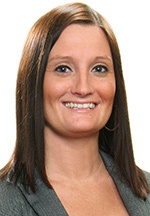 Johnson has nearly 10 years of banking and accounting experience, including office management and account reconciliation. Johnson, of Kalamazoo, earned his bachelor’s in finance at Western Michigan University and he is currently completing his MBA. 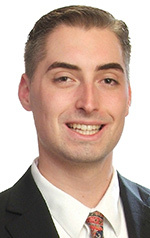 Luebke joins Greenleaf as a recruiter. Her management of the recruiting process includes developing innovative new ways of attracting and searching for top applicants. Luebke partners closely with community leaders, building, and maintaining relationships with universities and colleges, and community organizations. Luebke, of Portage, earned a Bachelor of Science in elementary education/early childhood at Western Michigan University. Riethman is a trading specialist at Greenleaf. His responsibilities include all aspects of trading, focusing on equity and options while providing support as an alternate for fixed income and mutual fund transactions. He works to improve the trading process and give insight on the technical facets of the market. Riethman’s background includes commercial banking operations and consumer credit underwriting. Riethman, of Schoolcraft, earned a bachelor’s in economics from Denison University in Granville, Ohio. Besides Kalamazoo, other Greenleaf offices are in Birmingham, Traverse City, and Petoskey. Next articleGuest Blog: Can Your Company Have a Flint Water Crisis?